Queries are the foundations of data intensive applications. 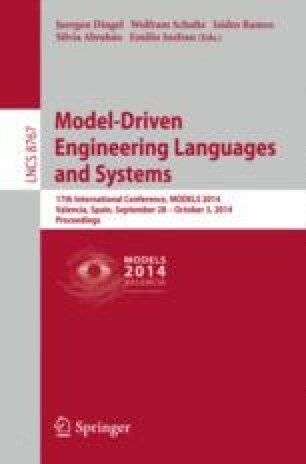 In model-driven software engineering (MDE), model queries are core technologies of tools and transformations. As software models are rapidly increasing in size and complexity, traditional tools exhibit scalability issues that decrease productivity and increase costs . While scalability is a hot topic in the database community and recent NoSQL efforts have partially addressed many shortcomings, this happened at the cost of sacrificing the ad-hoc query capabilities of SQL. Unfortunately, this is a critical problem for MDE applications due to their inherent workload complexity. In this paper, we aim to address both the scalability and ad-hoc querying challenges by adapting incremental graph search techniques – known from the EMF-IncQuery framework – to a distributed cloud infrastructure. We propose a novel architecture for distributed and incremental queries, and conduct experiments to demonstrate that IncQuery-D, our prototype system, can scale up from a single workstation to a cluster that can handle very large models and complex incremental queries efficiently. This work was partially supported by the CERTIMOT (ERC_HU-09-01-2010-0003) and MONDO (EU ICT-611125) projects partly during the sixth author’s sabbatical. Sesame: RDF API and Query Engine, http://www.openrdf.org/. Eclipse MDT Project. Eclispe OCL website (2011), http://eclipse.org/modeling/mdt/?project=ocl.